California Wine Trends… Old is new. Being that I work for one of the top wine distributors in the US and deal with wine (whether selling, educating, or consuming) every single day, I get a lot of questions shot my way. People looking for recommendations, people asking about trends, inquiring on my likes and dislikes… you name it. One of the most common questions I get is “What is hot right now?”. So what the hell does that mean!? It means one of the most exciting developments in California winemaking post-2000. We have this new generation of winemakers who are passionate about one thing… OLD VINES. They are giving old forgotten vineyards new life, and doing it with style. Am I saying that nobody has been making wines from these old gnarly vines pre-2000, absolutely not. But what is new is that wines from vineyards such as Bedrock (Sonoma Valley, planted in the 1880’s), Evangelho (Contra Costa, planted in the 1910’s), Frediani (Napa, planted in the 1920’s), Jackass (RRV, planted in the 1880’s), Lorenzo’s (Dry Creek Valley, planted in the 1910’s), Monte Rosso (Sonoma Valley, planted in the 1880’s – one of the Cru vineyards of California), Saitone Ranch (RRV, planted in the 1890’s), and many many more are now finally, at long last, enjoying their time in the limelight. Wines from these vineyards are now some of the most highly sought after wines coming out of California. Back in 2000 (when I built my first wine list) if I told you that by 2014 old vine single vineyard Zinfandel’s, or twenty six varietal field blends, would be going toe-to-toe with Napa Cabs in terms of demand and scores I would have been laughed out of my restaurant… no doubt about it. Go to your local store, ask if they have a bottle of Bedrock’s 2011 Saitone Ranch Zinfandel, Carlisle’s 2011 Two Acres Red Blend, or Martinelli’s 2011 Jackass Vineyard Zinfandel… Chances are they couldn’t even get their hands on ANY, and if they did they were probably lucky to get six bottles and were sold out the same day they got it. Now ask that same store if they can get you Quintessa, Caymus Reserve, Dominus or Opus One… They’ll ask “How many cases do you want?”. That should tell you something. So who do we have to thank for this old vine revolution? I would start with Helen Turley. Her labels Turley and Martinelli began really focusing on single vineyard old vine wines back in the mid-90’s. Was Helen the first, no, but I believe her wines were extremely instrumental in paving the road for those that followed. Next I would tip my hat to Mike Officer and his wife Kendall of Carlisle, whose first vintage was 1998 (though they had been producing tiny quantities of wine in their garage for a handful of years prior), and they really seemed to hit their stride in 2003. Fast forward a few more years to 2007 and the first vintage of wines from Bedrock Wine Company by Morgan Twain-Peterson, son of the famous Joel Peterson (at least I believe the first vtg was ’07, Morgan can correct me if need be… lol)… My first experience with Morgan’s wines are what finally opened my eyes to the true beauty of old, gnarly, mean looking, forgotten vines. The 2009 Bedrock Wine Co. Stellwagon Zinfandel will go down as one of the most influential wines of my life, and turned me into a true old vine acolyte. But hey, shhh, look over here… Can you keep a secret? I have some insider information for ya, but keep it to yourself. Want to know my prediction for the next rising star of old vines? Keep an eye on Wilde Farm Wines, their stock is going to rise by leaps and bounds over the next few years. If you find their wines, buy as much as you can, seriously! Their 2012 Bedrock Vineyard Heritage Red… words can’t do it justice. And their winemaker? Oh, just a guy by the name of Pax Mahle… Don’t know him? Well you should, he’s kind of important, look him up. But remember, hush hush… The case production for all of their wines combined is fewer than 500 per vintage. If you tell all of your friends there won’t be any left for you! So that’s my article and I’m sticking to it. Why did I share this with you? What’s the moral of the story? The moral is put down the Napa Cab and expand your horizons!!! Look for Bedrock, Biale, Carlisle, Davis Family, Joseph Swan Vineyards, Martinelli, T-Vine, Turley, Wilde Farm… these guys are doing cool stuff that Napa Cab’s simply cannot hope to match. Trust me, you’ll thank me tomorrow. Oh, and what am I drinking tonight? How about a little 2010 Carlisle Monte Rosso Zinfandel and I’ll be pairing it with some eight hour braised short ribs… life ain’t bad! Next post coming soon. In the meantime, crack open a bottle of something and relax. Life is short, enjoy it! 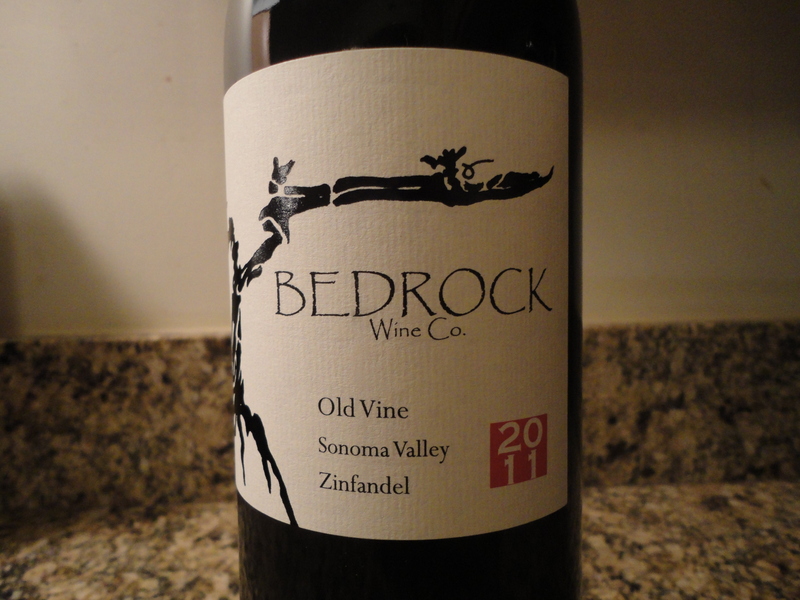 Tags: Bedrock, California, carlisle, davis family, Helen Turley, Monte Rosso, old vines, pax mahle, t-vine, wilde farm, zinfandel. Bookmark the permalink. Previous post ← Welcome to my blog!